Virginia has some of the toughest reckless driving laws in the country—with the penalties to match, including possible jail time, license suspension, a permanent criminal record, and fines and fees in excess of $2,500. Most good people are shocked to learn what Virginia reckless driving attorneys already know; that they can (and will be) charged with reckless driving at speeds above 80 mph. The truth is that many localities in Virginia use traffic tickets to obtain tremendous sums of money from unfortunate drivers. If you've been charged with reckless driving, the best thing you can do is hire an attorney who specializes in traffic offenses. We've seen the whirling blue lights in the rearview mirror and know exactly how you feel. We know speeding tickets are a scam, and we're here to help you fight yours. Our clients—more than 2,500 of them—know that in the long run hiring a good attorney is a lot cheaper than just paying the fine or representing themselves in court. We can't guarantee you a specific outcome for your case—no lawyer can. But we can guarantee your satisfaction with the results of your trial. If for any reason you are unhappy with the findings or the sentence of the General District Court, Van will represent you in a bench trial on appeal to the Circuit Court—and it won't cost you an additional penny. We call it "Guaranteed Representation." Our past results and the records we have set in courts across Virginia speak for themselves. When you are facing jail time, a permanent criminal record, possible termination of employment, or loss of your security clearance, you need a lawyer with a proven track record. When you hire us, you will be assigned a case manager, one of our trained specialists in DUI and reckless driving case preparation. Your case manager will guide you through the representation process and help you gather the evidence we need to build a strong defense, evidence such as your driving record, a calibration certificate, and letters of reference. Her job is to make the process as painless as possible for you and your family. Client communication is our top priority. We keep you informed about the status of your case and are always available to address any questions or concerns you might have. 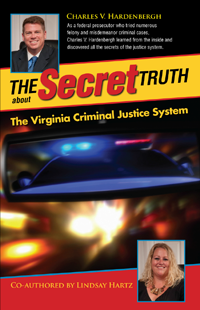 Van offers all his clients free copies of his books, including The Secret Truth About Reckless Driving by Speed in Virginia and DUI/DWI Virginia Arrest Survival Guide: The Guilt Myth. Request your copies today! We’re not scared of the “difficult” case. No matter how hopeless your case may seem, we’ve got a plan for success. Choosing the right lawyer can mean the difference between a permanent criminal record and walking out of court breathing a sigh of relief. We're ready to get started. Call us today at (804) 835-5127 or toll-free at 1.866.VAN.WINS (1.866.826.9467) for a free, no-obligation consultation. Remember: Just because you’re accused, doesn’t mean you will be convicted. Contact us today. Aggressive, experienced legal representation. 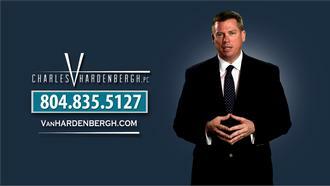 Call today for your free consultation about your reckless driving cases in Virginia. Request our book to learn what defense you might have to fight criminal charges in Virginia and how Charles V. Hardenbergh, PC can help you. 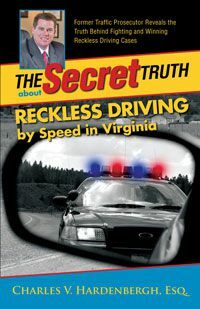 Download our book Reckless Driving By Speed to keep you informed of Reckless Driving Laws in Virginia and avoid potentially serious convictions. 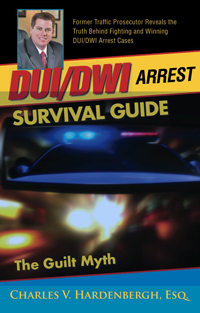 Request Van Hardenbergh's book and learn what assistance our firm may be of to you to help fight your DUI charge in Virginia and keep you on the road. What Common Mistake Is Made With Traffic Cases? Do you know what mistake people commonly make when handling their traffic case? A defense attorney has the answer and a tip to help you with your case. What Will a Reckless Driving Speeding Ticket Cost Me? If you have received a reckless driving speeding ticket, watch this video to find out about the many costs associated with this charge. The Key to a Reckless Driving Defense If you have been charged with a reckless driving speeding offense, you need to learn the key to a successful reckless defense. Watch this video to learn more.